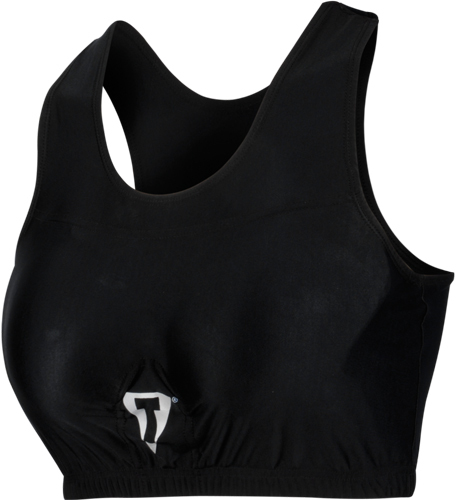 Awesome extra supportive and moisture wicking polyester, cotton and Lycra blend helps keep you fresh, cool and covered. 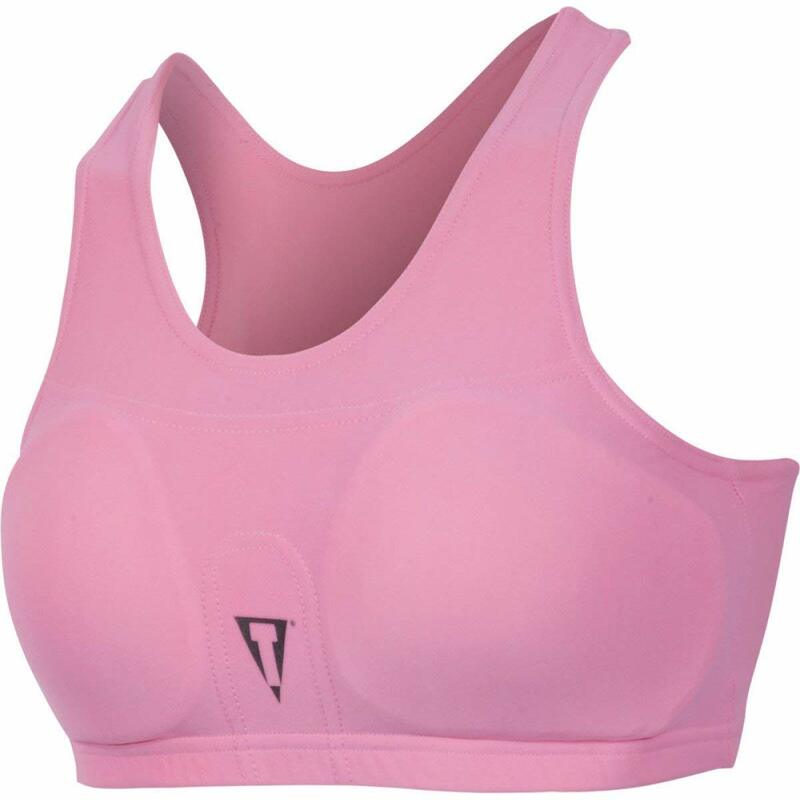 Title Advanced Womens Derby Chest Guard/Compress Bra! Awesome extra supportive and moisture wicking polyester, cotton and Lycra blend helps keep you fresh, cool and covered. Comes complete with two poly resin plastic chest inserts to help provide extra protection during practice and competition. You will love the firm support, comfort and coverage this set delivers!